Independent Homes and Bungalows for sale in Bangalore. Please refer to some of our Independent Houses and Bungalows for sale in Bangalore below. The most recently added listing appears on top, you can click on any of the headers in the table to change the sort order. We have many more Independent Houses and Bungalows in Posh Loctions of North, East & South Bangalore for sale which may not be listed here. Call us on 9343670806 / 9342190008 or Contact Us, Let us know your buying objectives, budget and specific requirements and we will be glad to assist you in finding you your Dream Home! Rs17,500,000 INR Hebbal 2,480 sq. ft. 4 Duplex 1,200.00 sq. ft.
Rs7,500,000 INR Bangalore North 600 sq. ft. 5 3-Level Split 600.00 sq. ft.
Rs19,500,000 INR H.S.R. Layout 2,200 sq. ft. 5 Duplex 1,200.00 sq. ft.
Rs9,500,000 INR Kasturinagar 1,170 sq. ft. 2 Apartment 4,000.00 sq. ft.
Rs33,000,000 INR Kamanahalli 4 Duplex 1,800.00 sq. 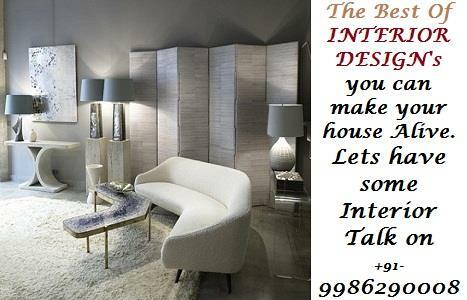 ft.
Rs32,000,000 INR Bangalore East 3,500 sq. ft. 4 Duplex "Gated Community Villa"
Rs29,000,000 INR Kamanahalli 4 Single Story 1,200.00 sq. ft.
Rs16,500,000 INR Electronic City 2,999 sq. ft. 4 Duplex 1,350.00 sq. ft.
Rs14,000,000 INR Sarjapur Road 2,238 sq. ft. 3 Duplex 1,800.00 sq. ft.
Rs21,500,000 INR Electronic City 2,500 sq. ft. 4 2 Storey 1,154.00 sq. ft.
Rs27,500,000 INR Indiranagar 1,500 sq. ft. 4 Duplex 1,200.00 sq. ft.
Rs16,500,000 INR Kamanahalli 3,200 sq. ft. 4 Duplex "G+2" 3,200.00 sq. ft.
Rs6,600,000 INR Hebbal 1,200 sq. ft. Other 1,200.00 sq. ft.